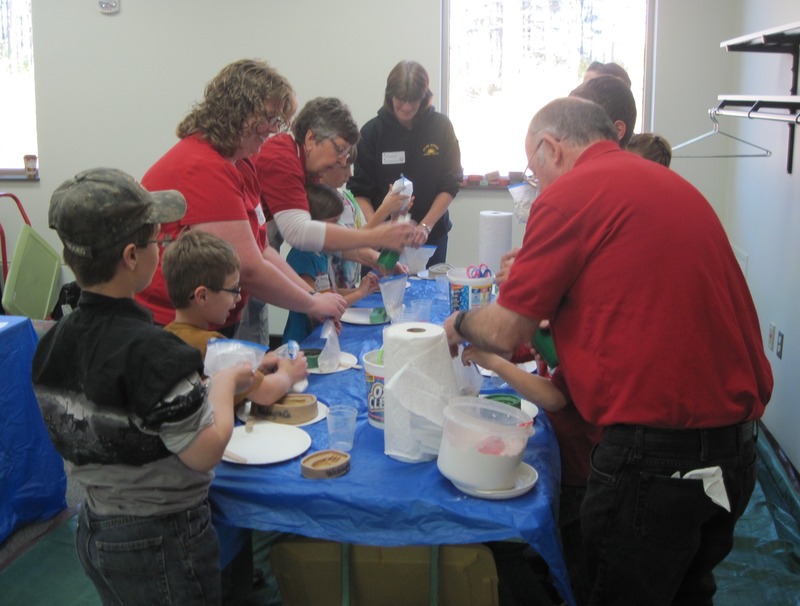 Discover the Adventure Called … 4-H. Lincoln County 4-H Leaders’ Association, Inc. and University of Wisconsin-Extension 4-H Youth Development in Lincoln County sponsor two 4-H Project Discovery Days each year. One in spring in Tomahawk and a second in fall in Merrill. These events allow youth from all over the county to sample the projects that the 4-H program offers. Anyone is welcome to attend and you do not need to be a 4-H member to participate. Sessions are taught by 4-H youth and adult leaders, as well as community volunteers. Sessions may be offered multiple times or may require youth to take multiple sessions if the project takes more than the single 85 minute time slot to complete. 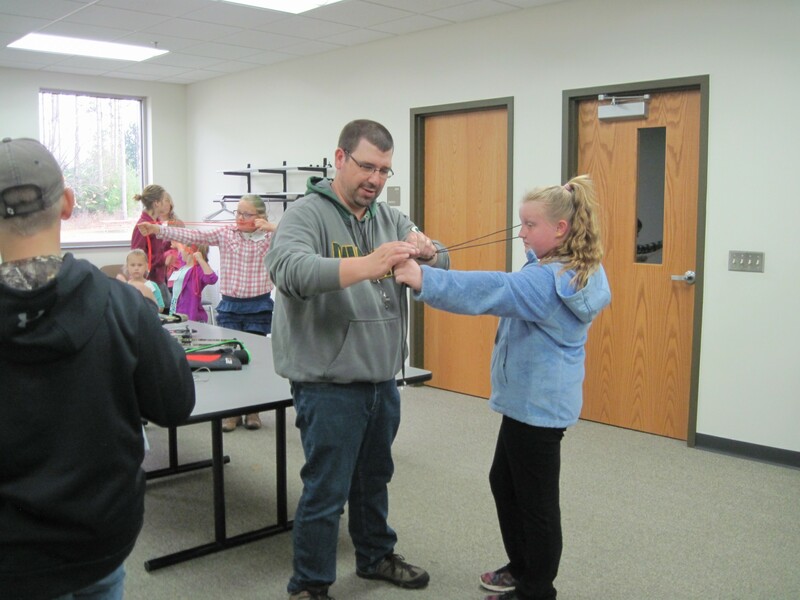 Project Discovery Day is sponsored by the Lincoln County 4-H Leaders Association, Inc. and UW-Extension 4-H Youth Development in Lincoln County. 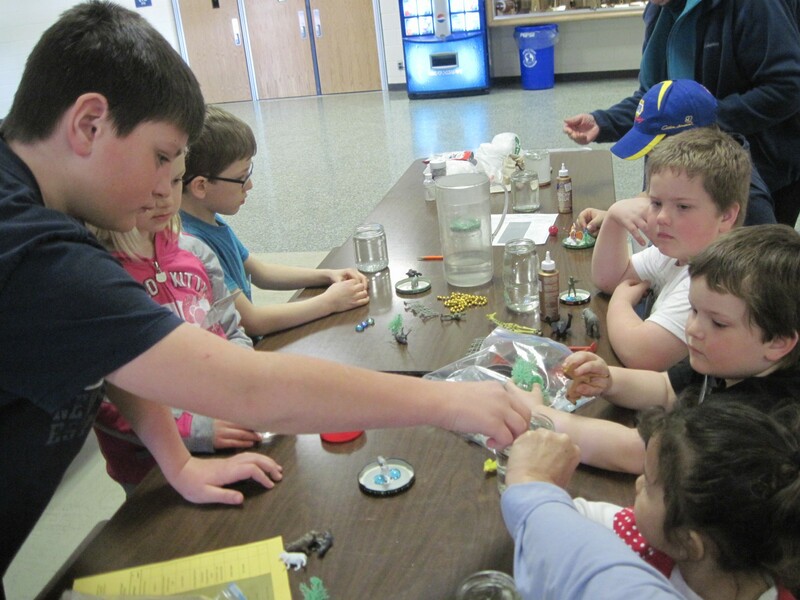 Don’t miss out on our next 4-H Project Discovery Day! This is the perfect time to try out a new 4-H project and to learn a new skill or two! 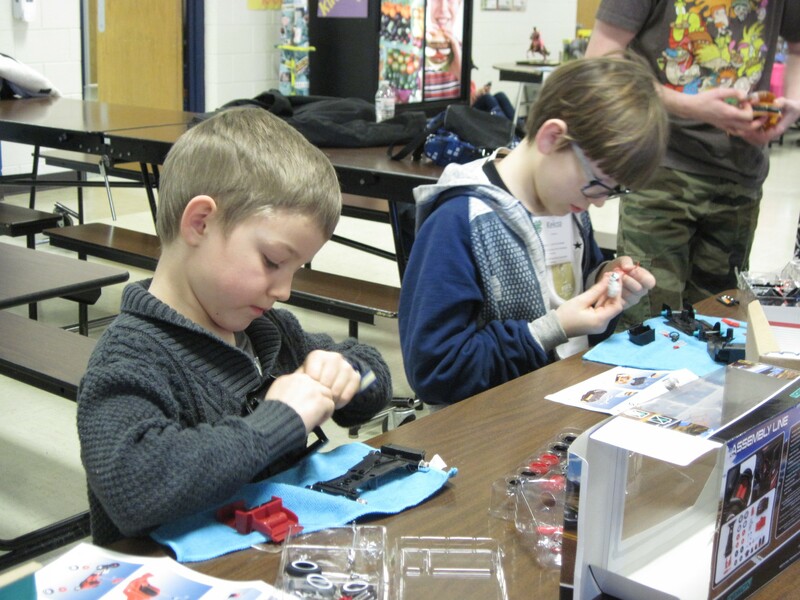 Project Discovery Day will be held on Saturday, April 6, 2019 at the Tomahawk Middle School. Choose from exciting topics such as introduction to the archery project, an archery fun shoot, rocket science, building a small scale model, bakery and other fun-filled projects. The overall event is free with only small charges for some of the sessions. A complete listing of sessions and registration forms can be found below. Completed registration and fees are due to the UW-Extension office by March 18th, 2019. Interested youth are encouraged to return registrations early as some sessions have limited numbers of participants and are filled on a first come first serve basis. Contact the UW-Extension office at (715) 539-1072 for more information or questions. 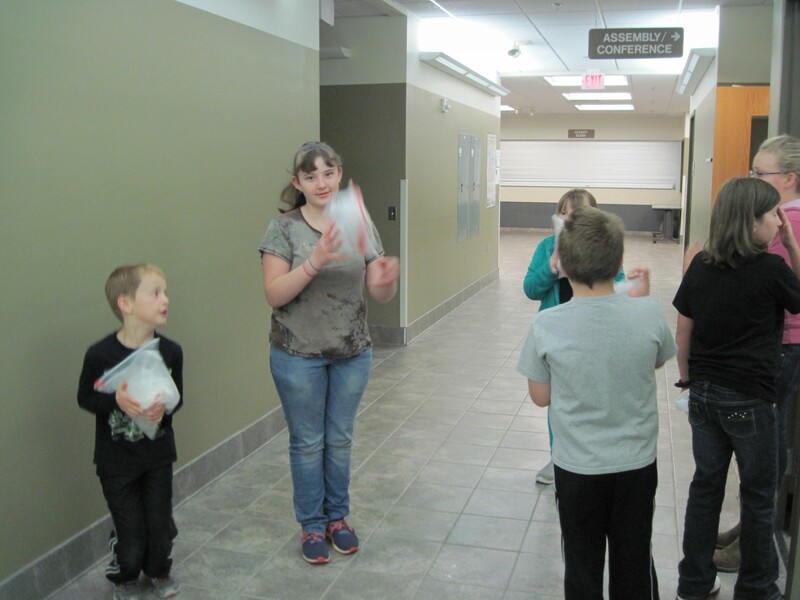 36 youth from throughout Lincoln County were at the Lincoln County Service Center on Saturday, October 13th where they participated in a variety of 4-H project sessions as part of Project Discovery Day. Youth participated in session on topics such as Learn with Dairy, Learn to Dance, Painting and T-Shirt decorating, Archery, Rocketry and other STEM/Art projects. In addition to the youth sessions, a new volunteer orientation session was offered to adults interested in becoming 4-H adult leaders. A big thank you to the 4-H adult and community volunteers and University of Wisconsin-Extension staff members who helped organized the event and lead sessions:: Kate Williams, Wil and Becky Kludy, Amanda Herdt, Jessica Gruetzmacher, Amy Steffens, Melisaa Yates, Jeanne Schmidt, Judy Ryan, Dan Marzu, Holly Luerssen, Steph Zoellner, and Jennifer Porath. 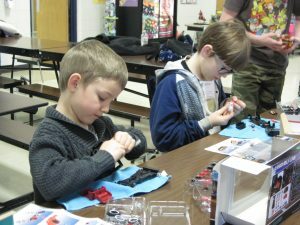 Lincoln County’s Project Discovery Day was featured on Sunrise 7 Morning Show on Friday, March 16th. A big thank you to Peter Schuetze, Ian Schuetze, Kekoa Schuetze and Dan Marzu for getting up very early to share the 4-H story. 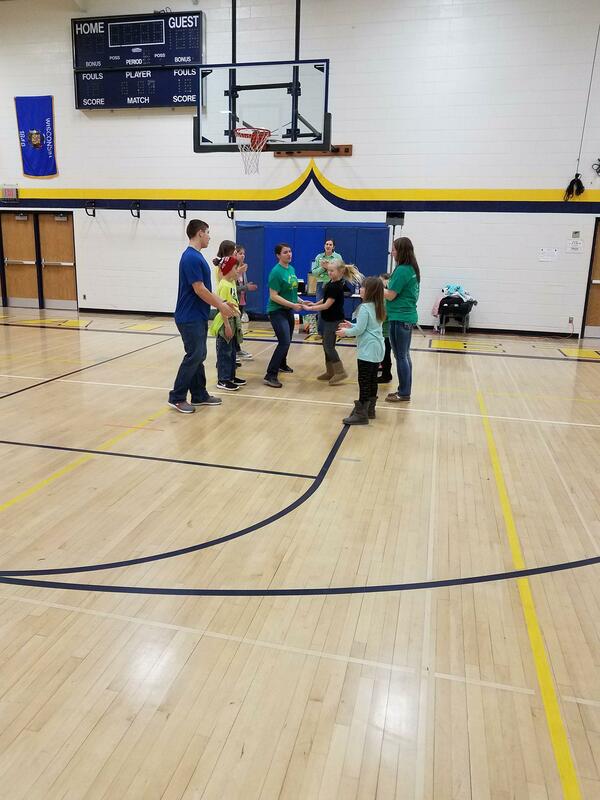 Twenty-one youth from throughout Lincoln County were at the Tomahawk Middle School on Saturday, March 17th where they participated in a variety of 4-H project sessions as part of Project Discovery Day. Youth participated in session on topics such as archery, basket weaving, dance, model horses, painting, robotics, scale models and visual arts. Sponsored by the Lincoln County 4-H Leaders’ Association and University of Wisconsin-Extension 4-H Youth Development in Lincoln County, Project Discovery Day is designed to provide youth in 5-year old kindergarten and older, a chance to discover what they can learn and do in 4-H. This event is open to all youth and 4-H members are encouraged to bring a friend. In addition to the youth sessions, six adults participated in the new volunteer orientation session to become 4-H adult leaders. During the day, sessions youth and adults participated in were led by the following 4-H adult and community volunteers and University of Wisconsin-Extension staff members: Jessica Gruetzmacher, Amanda Herdt, Beth Krueger, Lisa Krueger, Dan Marzu, Debbie Moellendorf, Judy Ryan, Peter Schuetze, Amy Steffens and Esther Trostle. Pat and Yvette Chieves, 4-H Board members assisted during the day. During the Introduction to Archery session, youth learned about the proper technique of shooting a bow. 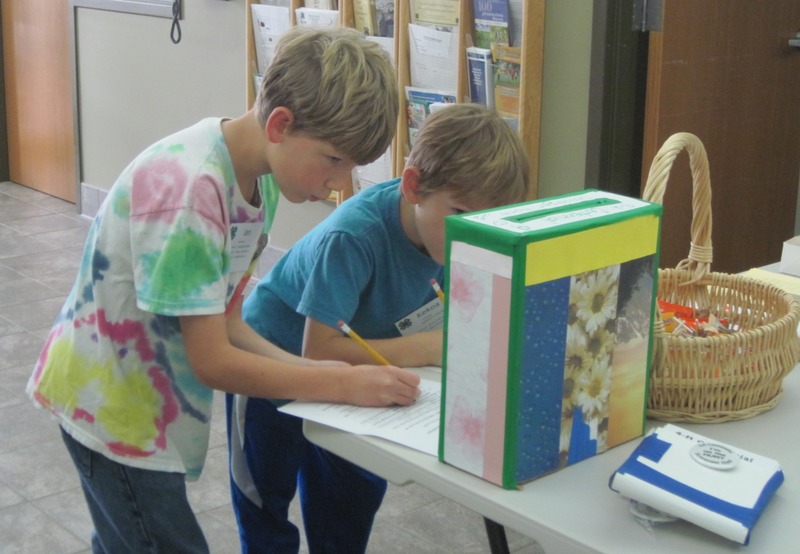 Forty-nine youth from throughout Lincoln County were at the Lincoln County Service Center on Saturday, October 14th where they participated in a variety of 4-H project sessions as part of Project Discovery Day. Youth participated in session on topics such as cake decorating, electricity, painting, sewing, STEM and much, much more. Sponsored by the Lincoln County 4-H Leaders’ Association and University of Wisconsin-Extension 4-H Youth Development in Lincoln County, Project Discovery Day is designed to provide youth in 5-year old kindergarten and older, a chance to discover what they can learn and do in 4-H. This event is open to all youth and 4-H members are encouraged to bring a friend. In addition to the youth sessions, seven adults participated in the new volunteer orientation session to become 4-H adult leaders. Youth learned about and practiced the basics of DC electricity and current flow by creating a lighted bug during this session. During the day, sessions youth and adults participated in were led by the following 4-H adult and community volunteers and University of Wisconsin-Extension staff members: Yvette and Pat Chieves, Jessica Gruetzmacher, Brian and Cherie Hafeman, Becky Kludy, Beth Krueger, Fern Langhoff, Caroline Lemke, Dan Marzu, Debbie Moellendorf, Amy Steffens, Heidi Sturzenegger, Laurie Woller and Melissa Yates. Youth learned about science as they got messy during the Making Goo Session. 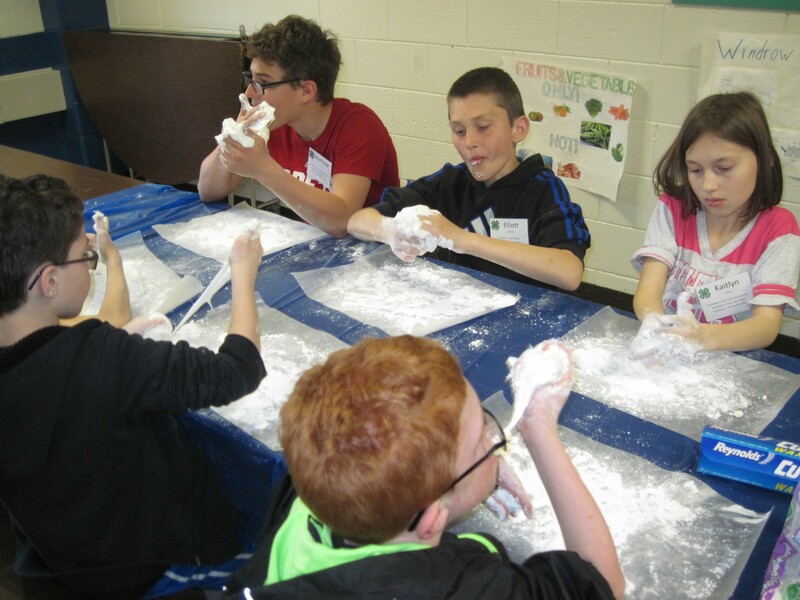 Sixteen youth from throughout Lincoln County were at the Tomahawk Middle School on Saturday, April 22, 2017 where they participated in a variety of 4-H project sessions as part of Project Discovery Day. 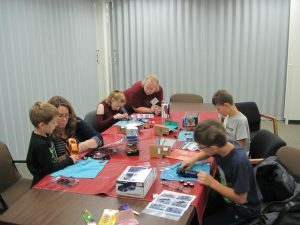 Youth participated in session on topics such as painting a fish family, mod podge, jewelry making, paper quilling, exploring science through making goo, growing and propagating plants, creating an Easter egg wreath or a purse from a handkerchief. Sponsored by the Lincoln County 4-H Leaders’ Association and University of Wisconsin-Extension 4-H Youth Development in Lincoln County, Project Discovery Day is designed to provide youth in 5-year old kindergarten and older, a chance to discover what they can learn and do in 4-H. This event is open to all youth and 4-H members are encouraged to bring a friend. 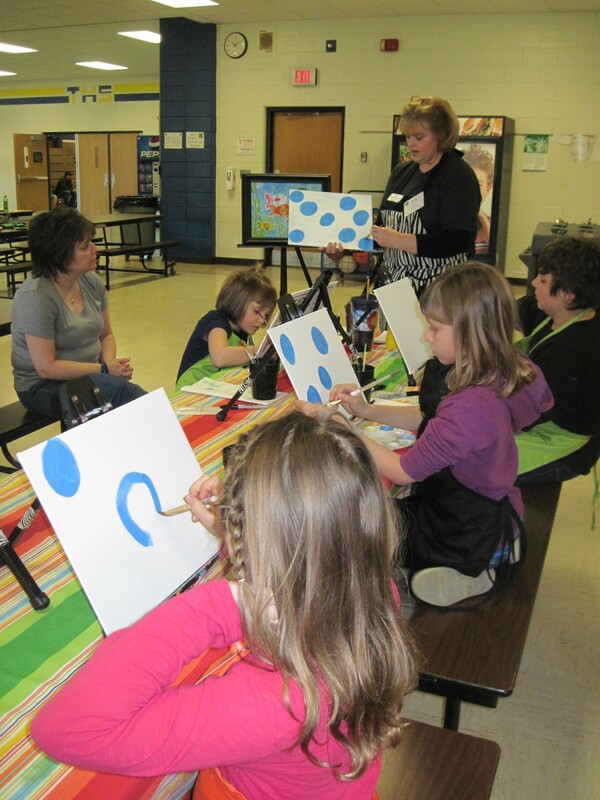 Youth learned various painting techniques as they created a Fish Family Painting. During the day, sessions youth participated in were led by the following 4-H adult and older youth volunteers, community volunteers and University of Wisconsin-Extension staff members: Bailey Iwen, Becky Kludy, Beth Krueger, Lisa Krueger, Fern Langhoff, Dan Marzu, Jeanne Schmidt, and Amy Steffens. 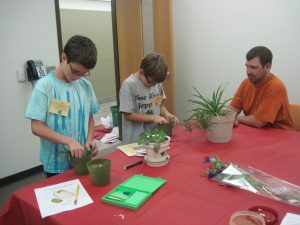 Dan Marzu, UWEX Agriculture Educator, teaches Lee and Kekoa how to start a plant from a cutting. 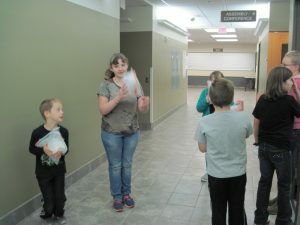 Thirty-two youth from throughout Lincoln County were at the Lincoln County Service Center on Saturday, October 1st where they participated in a variety of 4-H project sessions as part of Project Discovery Day. Youth participated in session on topics such as basket weaving, arts, robotics, preserving food, and much, much more. Sponsored by the Lincoln County 4-H Leaders’ Association and University of Wisconsin-Extension 4-H Youth Development in Lincoln County, Project Discovery Day is designed to provide youth in 5-year old kindergarten and older, a chance to discover what they can learn and do in 4-H. This event is open to all youth and 4-H members are encouraged to bring a friend. 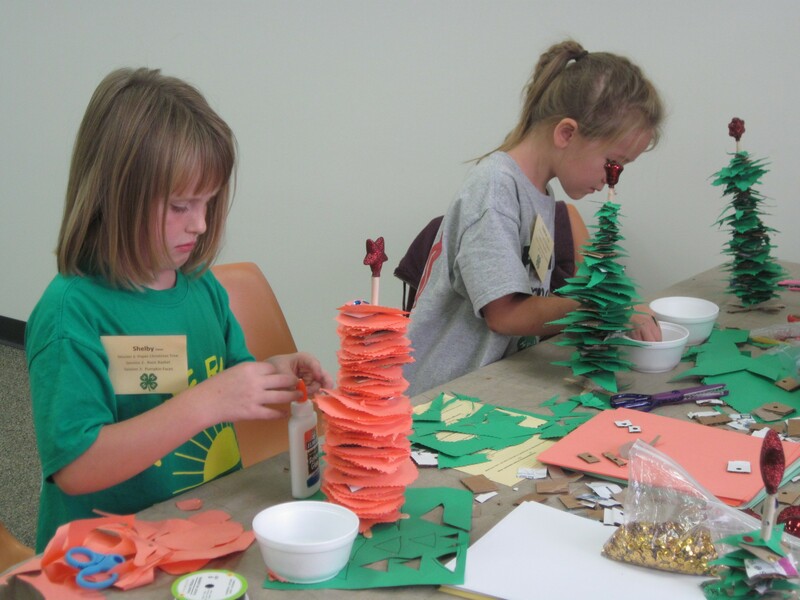 Shelby and Siobhan create a Christmas Tree using paper during their session led by 4-H volunteer leader, Beth. During the day, sessions youth participated in were led by the following 4-H adult and older youth volunteers and University of Wisconsin-Extension staff members: Amanda Kostman, Lisa Woelbing, Yvette Chieves, Beth Krueger, Caroline Lemke, Dan Marzu, Bride Maas, Peter and Maxine Schuetze, Laurie Woller, and Heidi Sturzenegger. Thank you to each of them for making this day possible. Ben receives assistance from Beth in the Decoupage session. 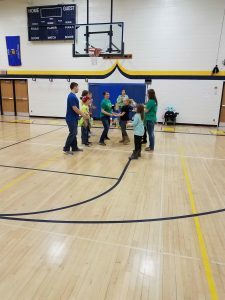 Twenty-four youth from throughout Lincoln County were at the Tomahawk Middle School on Saturday, March 5th where they participated in a variety of 4-H project sessions as part of Project Discovery Day. Youth participated in session on topics such as basket weaving, arts, robotics, preserving food, and much, much more. 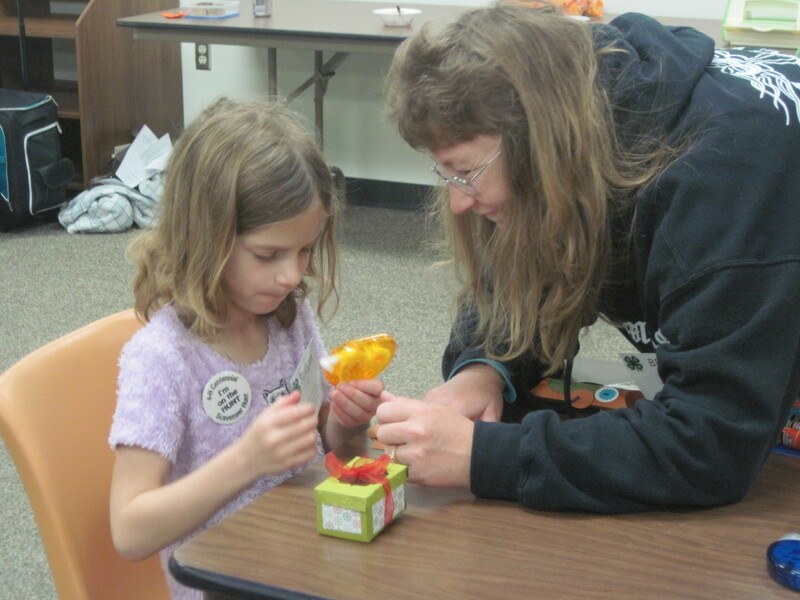 Sponsored by the Lincoln County 4-H Leaders’ Association and University of Wisconsin-Extension 4-H Youth Development in Lincoln County, Project Discovery Day is designed to provide youth in 5-year old kindergarten and older, a chance to discover what they can learn and do in 4-H. This event is open to all youth and 4-H members are encouraged to bring a friend. 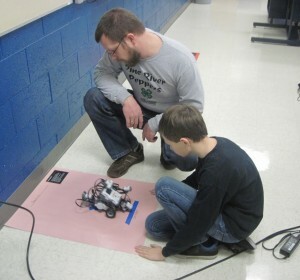 Hunter shows Peter his robot completing a challenge during the Robotics session. During the day, sessions youth participated in were led by the following 4-H adult and older youth volunteers and University of Wisconsin-Extension staff members: Lily Cordova, Amanda Kostman, Lisa Woelbing, Pat and Yvette Chieves, Beth Krueger, Lisa Krueger, Caroline Lemke, Peter and Maxine Schuetze, Cheryl Roets, Morgan Wolfram, Laurie Woller, Heidi Sturzenegger and Debbie Moellendorf. Another 4-H Project Discovery Day is being planned for fall in Merrill. Watch for more information and registration materials in late August/early September. 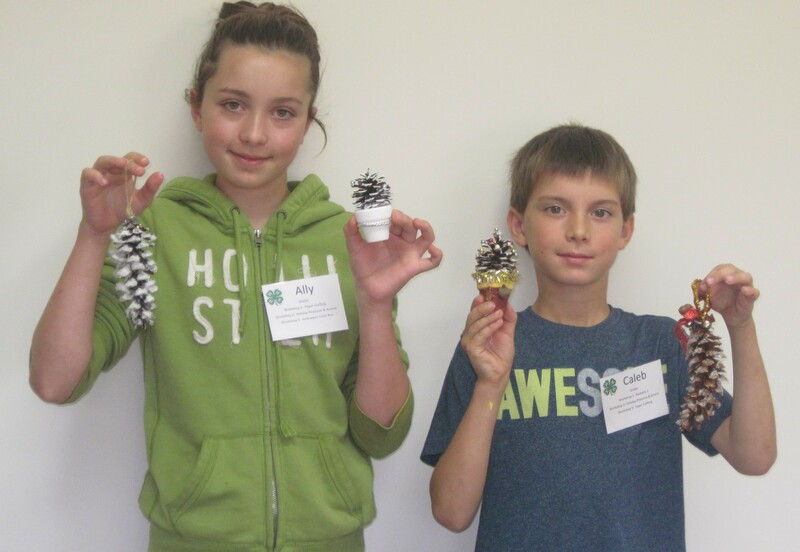 Alley and Caleb show off the projects they made in Holiday Pinecones and Acorns Session. Twenty-seven youth from throughout Lincoln County were at the Lincoln County Service Center on Saturday, October 10th where they participated in a variety of 4-H project sessions as part of Project Discovery Day. 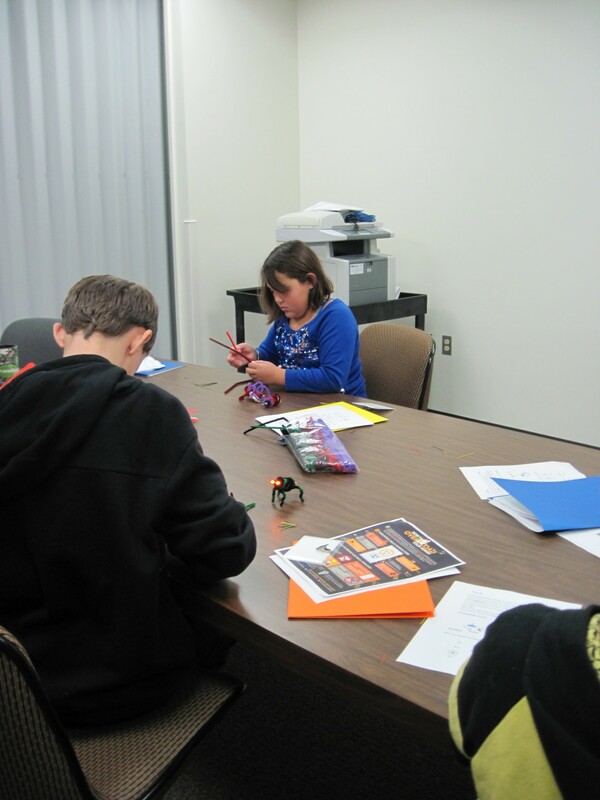 Youth participated in sessions on topics such as basket weaving, Halloween Treat Boxes, Holiday Pinecones & Acorns, “Dew” It Yourself Jewelry Boxes, DeCoupage Treasure Boxes, Paper Crafting, Paper Quilling and sewing handbags. Project Discovery Day is the perfect opportunity for youth of all ages to learn mastery of a skill, both through learning and teaching. Mastery is defined as possession of a skill and full command of a subject of study. We are always trying to help the youth develop skills, and encourage and empower them to practice those skills until they have them mastered. 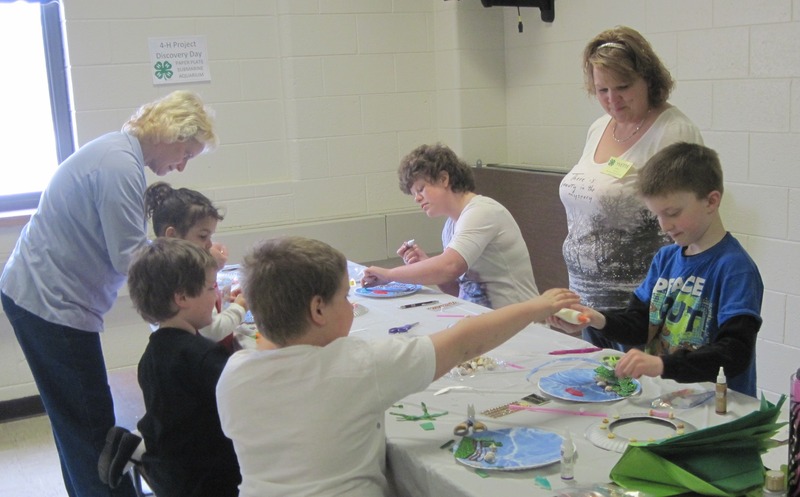 4-H encourages youth to continue to use and practice skills so that they have the opportunity to master those skills. Thank you to Amanda Kostman, Lisa Woelbing, Chris Gano, Cherie Hafeman, Melissa Hafeman, Bridie Mass, Yvette Chieves, Jeanne Schmidt and Mary Pelkey for leading sessions during the day. In addition to the kids sessions, adults had the opportunity to take the STEM leader training offered by Joanna Skluzacek and Justin Hougham, 4-H Youth Development Specialists. 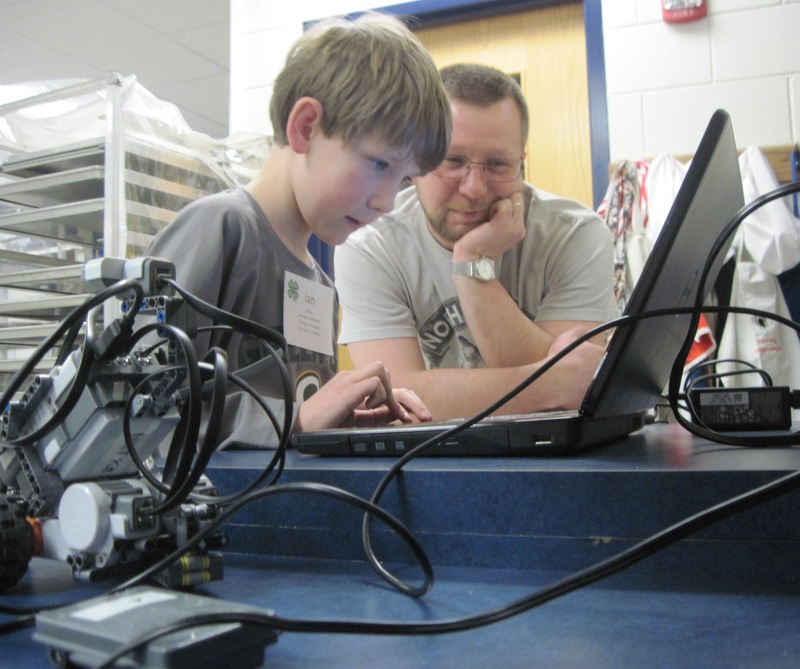 Ian shows his father how to program the robot he built to complete challenges. Twenty-seven youth from throughout Lincoln County were at the Tomahawk Middle School on Saturday, March 14th where they participated in a variety of 4-H project sessions as part of Project Discovery Day. Youth participated in session on topics such as basket weaving, digital storytelling, arts, robotics, propagating plants, and much, much more. Sponsored by the Lincoln County 4-H Leaders’ Association and University of Wisconsin-Extension 4-H Youth Development in Lincoln County, Project Discovery Day is designed to provide youth in 5-year old kindergarten and older, a chance to discover what they can learn and do in 4-H. This event is open to all youth and 4-H members are encouraged to bring a friend. 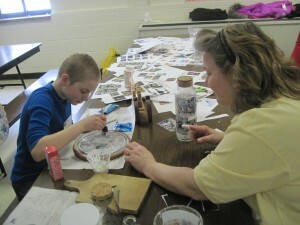 Austin, 4-H youth leader, helps youth create snow globes. During the day, sessions youth participated in were led by the following 4-H adult and older youth volunteers and University of Wisconsin-Extension staff members: Amanda Kostman, Lisa Woelbing, Yvette Chieves, Beth Krueger, Lisa Krueger, Caroline Lemke, Austin Leinen, Christina Rencontre, Dan Marzu, Jeni Marzu, Larry Hendrickson, George Hendrickson, Pat Chieves, Maxine Schuetze, Chris Gano, Sara Proulx, Hanna Proulx and Debbie Moellendorf. 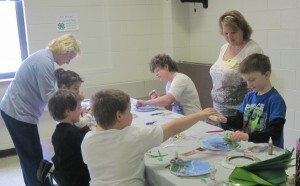 Yvette Chieves, 4-H volunteer leader, leads a session where youth created a Submarine Porthole Aquarium. 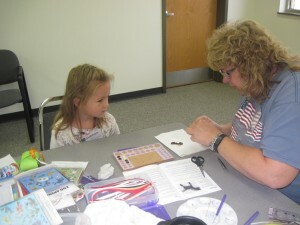 Norb and Barb Yogerst show participants how to make animal tracks during the wildlife session. Forty-six youth from throughout Lincoln County were at the Lincoln County Service Center on Saturday, October 18th where they participated in a variety of 4-H project sessions as part of Project Discovery Day. 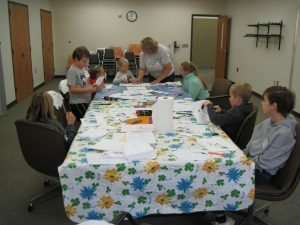 Youth participated in session on topics such as basket weaving, scrapbooking, wildlife, digital storytelling, jewelry making, making root beer, arts, crafts and much, much more. Project Discovery Day is the perfect opportunity for youth of all ages to learn mastery of a skill, both through learning and teaching. Mastery is defined as possession of a skill and full command of a subject of study. We are always trying to help the youth develop skills, and encourage and empower them to practice those skills until they have them mastered. 4-H encourages youth to continue to use and practice skills so that they have the opportunity to master those skills. Thank you to Amanda Kostman, Lisa Woelbing, Sara Proulx, Pat Chieves, Bridie Mass, Shelly Burnett, Beth Krueger, Yvette Chieves, Kathy Ermer, Chris Gare, Christina Recontre, Norb Yogerst and Barb Yogerst for leading sessions during the day. In addition to the sessions, youth had the opportunity to participate in a 4-H Centennial Scavenger Hunt for prizes. 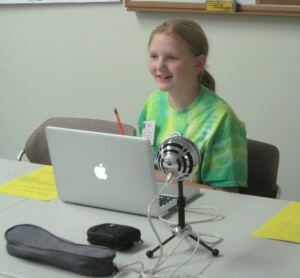 Grace working on her story during creative digital stories session.